People speak English, Spanish or any other human language. Vladae Roytapel speaks five languages and one of them is "Doglish". Vladae is the grandson of the former USSR chief biologist that conducted Pavlov inspired research with wolves, coyotes, and foxes. As a child, Vladae spent years playing, observing, and working with his grandfather's animals. Vladae won his first local obedience championship at age twelve in the city of Baku with his Siberian Husky, Berta. At seventeen, Vladae achieved first-degree national champion in the Soviet Union OKD and ZKS (the American Superbowl of dog training). He then attended Avante, a private dog training school in State of Moldova, where he studied Pavlov and other famous Russians and became Certified Dog Trainer/behavior therapist. 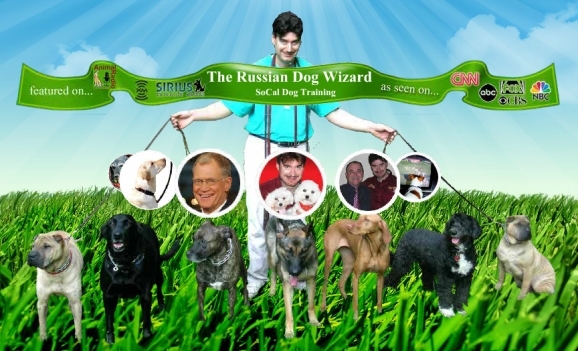 Vladae Roytapel, known in USA as “The Russian Dog Wizard,” is the owner of SoCal Dog Training -- one of the most successful dog training companies in the world. He has worked for various prominent organizations including security dogs for "Focus Hope" Detroit, MI, Leader Dogs for the blind, the Red Army, and Soviet KGB. Vladae's training methods have been displayed on NPR, L.A. Magazine, CNN’s Situation Room, CBS’s Late Show with David Letterman, and countless other local morning shows on ABC, NBC, & FOX affiliated stations across America. 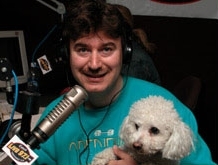 He was a regular contributor to the nationally syndicated Animal Radio LLC network & now the expert for ALL PAWS PET TALK RADIO + TV NETWORK. 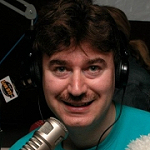 Vladae is the behavioral expert for the #1 Dog Lovers blog in America Dogtime, he is columnist for many Pet related publications including National travel magazine, Fido Friendly, Orange County Register, Newport Beach Patch and Expert adviser for WikiHow, Pets Places, and many others social media outlets.